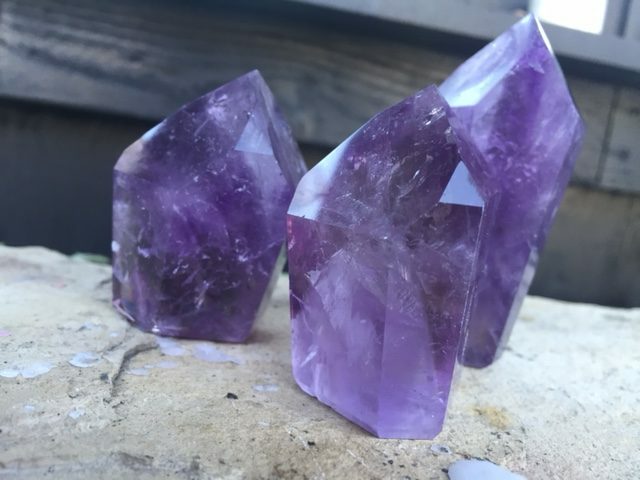 Glorious, yummy, regal purple amethyst! 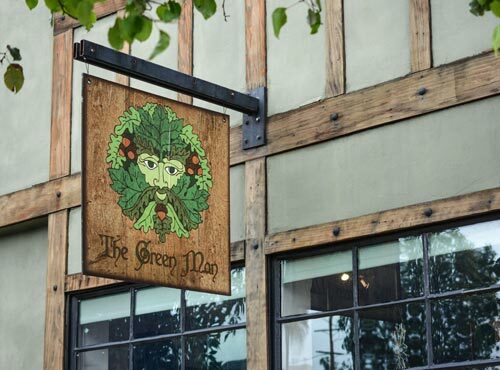 I would say that along with clear quartz and rose quartz, this semi-precious crystal is the one most asked-for and recognized at The Green Man. We recommend it for people reaching for higher spiritual realms and contentment, as it can raise lower vibrations to a higher level. Most folks find it very helpful with meditation. 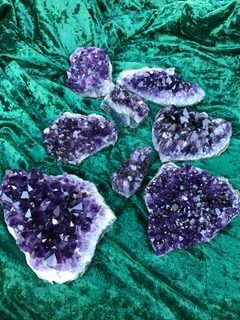 It’s also protective, and I have put it in mojo bags for parents who want to help their children maintain a high spiritual vibration. Amethysts were prized by the ancient Egyptians, who used them for intricate carved jewelry pieces. 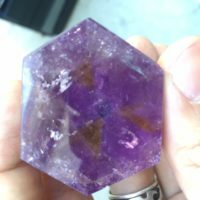 Soldiers in medieval times in Europe wore amethysts for protection in battle, and amethyst beads have been found in graves. 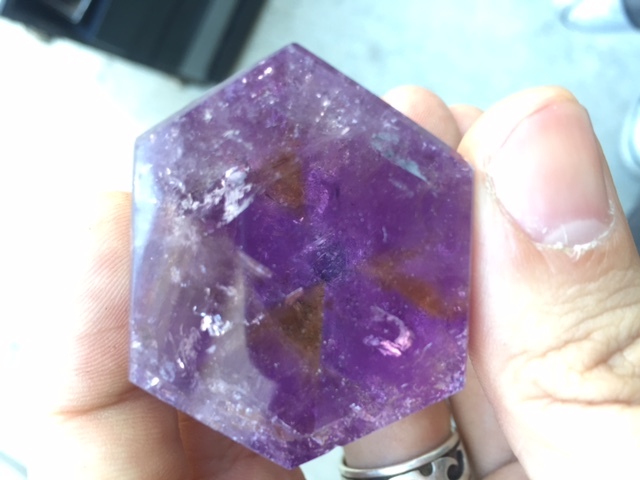 In the Middle Ages, amethyst was considered a symbol of royalty (hence, “royal purple” as a now-common color name). Tibetans make prayer beads out of amethyst for its spiritual qualities. 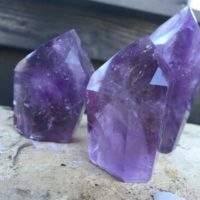 A variation: Ametrine is a combination of amethyst and citrine. The different colors in one crystal are due to the differing levels of iron oxidation. One of the uses of citrine is for prosperity. 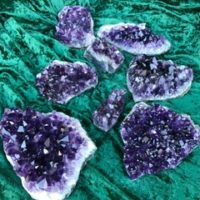 I like to look at ametrine as your prosperity joining with your spirituality–a great crystal for those working in a metaphysical/spiritual business! Happy birthday to all February babies!